The detachable archer's rings are each of plain cylindrical shape. 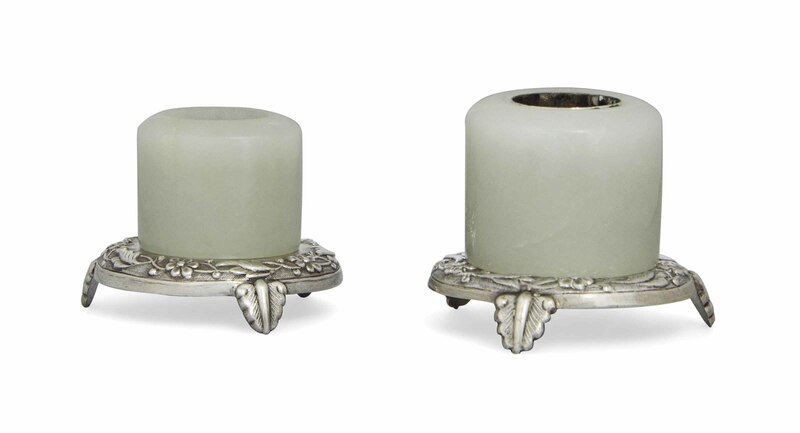 The stone is of an even pale celadon tone. The silver tripod stands are modelled with flowers and are stamped 'SILVER' bearing Swedish control marks.